UGVCL gets its Meter Testing Lab NABL Accredited����. 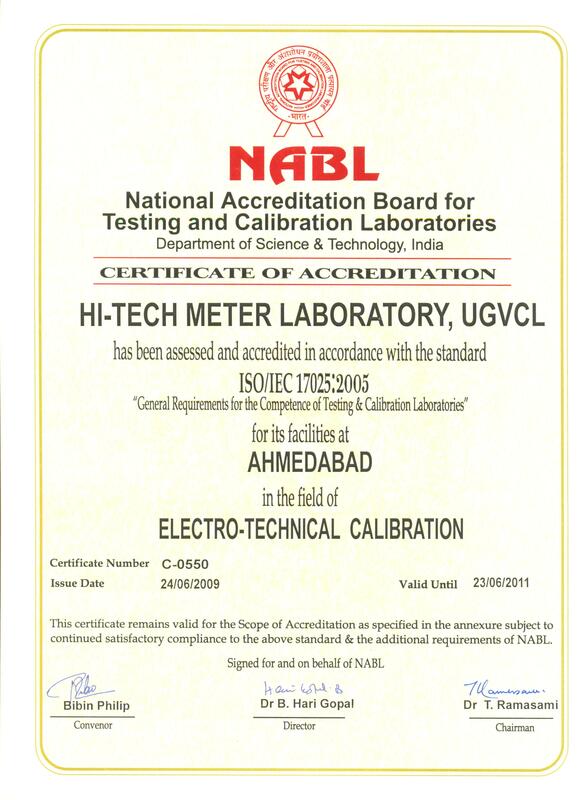 Hi-Tech Meter Lab Sabarmati is Accredited by NABL (National Accreditation Board for Testing & Calibration Laboratories) w.e.f. 23rd May �2007. 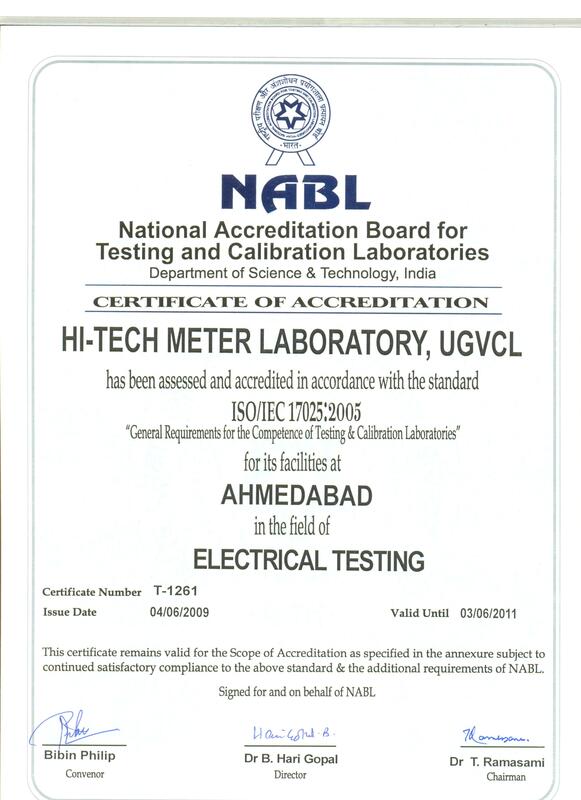 Hi-Tech Meter Lab, Sabarmati is the First NABL accredited Lab amongst state owned DISCOMS of India. At our Hi-Tech Meter Lab, Sabarmati we have a Fully Computerised Meter Test Equipment of 0.05 Accuracy class of MTE make, GERMANY. This laboratory has special features like testing all type of Energy Meters with Isolation Current Transformer(ICT) facility whereby we can test closed link energy meters without opening link between current & voltage circuits. Simultaneously (20) meters of same make & capacity can be tested. Each meter has a scanner, error finder & ICT fitted on bench for giving appropriate computerized analysis and readings of each meter through computer software programme. The Current range of this Test Equipment is from 1 mA (Mili Ampere) to 120 A (Ampere) and its voltage range is from 30 Volts to 300 Volts.